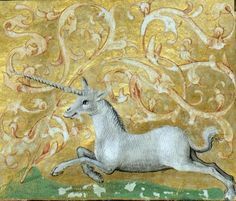 I’ve recently been leading a series of creative writing workshop, based on Natalie Goldberg’s “Writing Down the Bones.” One of her challenges is to do a timed free-write starting with the prompt “Be an animals.” Of course I chose the unicorn. The following is somewhere between poetry and stream-of-consciousness. I am a unicorn—graceful, curving, smaller than a horse, larger than a sheep. My horn and hooves a glinting silver. My tail, plumed, twitches as ears perk, alert to the sounds of forest and meadow. I know the way of the animals—their fears, their dreams. They know me too, though these days man would say that I do not—could not exist. But I know who I am—I run with the moonlight, I dance with the wildflowers, I sing clear and silvery with the birds of the air. The animals gather at the waters, waiting for me to drive the vile poison from the stream. Their daily wars they set aside for a moment of peace—a time of calming—an oasis in a crazy, sordid world, where violence and greed rule with an iron hand. Some look into my eyes and never see me—see right past to the erected stories and scripts they drag with them through their days. They choose a blindness that feels safe to them, even if it renders me invisible. But sometimes there is a flash, a moment’s recognition, a stirring in the soul. They taste something in that moment of sharing the space—something they haven’t known since childhood. Unicorns have no need for noisiness, for pushiness, for great deeds to prove their might. 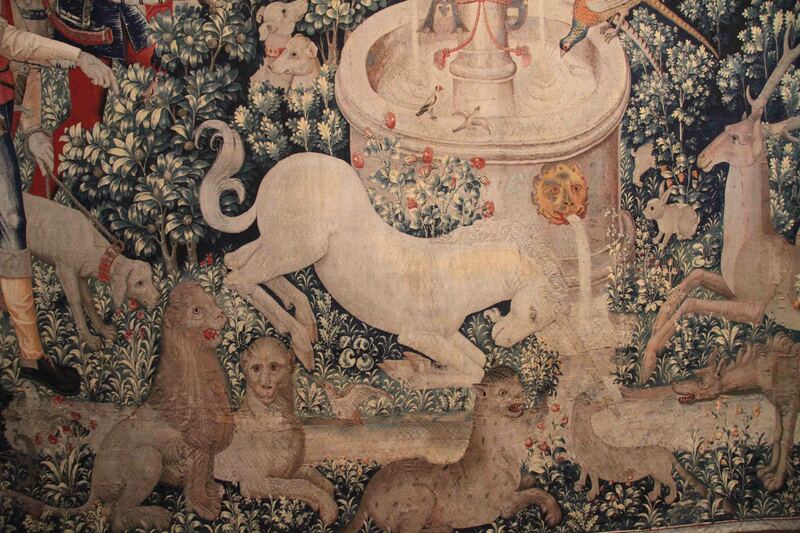 Who but the prideful folly of the lion would challenge the pure, the clean, the single-horned? But lions are all fuss and looks, tearing apart that which makes them feel small. I am not afraid to face them with presence, with compassionate firmness, to stand my ground. Often, I find myself alone, in the forest, in my thoughts, in my company. I have yet to meet another unicorn—imposters, yes; pink or purple horses prancing about with rainbow-striped horns strapped to their heads. They claim the title, but they’ve never walked the narrow, winding path up the mountain, shrouded in mists. Met the sphinx upon that path and talked of poetry, called the harpy from the clifftops to laugh at the folly of men, danced with centaur, played tag with pan. Pretenders never learned the way to Avalon—they weren’t here before its sinking beneath the waves, lifetimes ago. My feet are nimble, my ankles tufted with soft, white hair. Walking is dancing, resting meditation. Sometimes I race the shooting starts just for fun. My eyes, deep and violet, reflect the stars even when they are asleep. In the morning light, the songbirds come to greet me, knowing that I will always greet them in return. I am beyond names, beyond a label or a position or even some of the constrictions of language or pen. I look across the back of time towards the mystery of existence. Do you ever watch for me, in the gloaming, in the mists? Would you know me if you saw me? Or would you pass me off as a wish, a dream, a mirage, an imagining? You’ve been told so long that I cannot be. I am the unicorn. I am who I am, whether you can see me yet, whether you can hear me yet. Whether you even care to. I am the song for purity, a tear for loyalty, a cry for freedom of the heart. Do not waste your strength to capture me—be content that I should dare to stand with you in this moment.